The July Team of the Month is represented by six teams with six of the 11 players being repeats. The NWSL Media Association named their Team of the Month for July with five new players being given the honor. 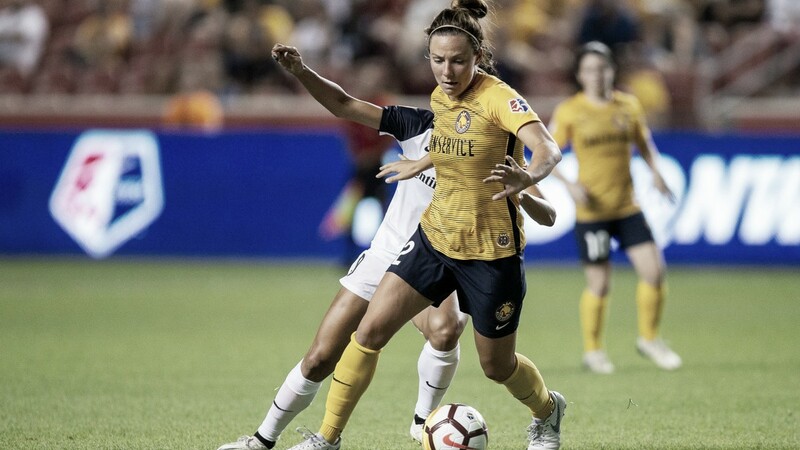 The Chicago Red Stars have three players representing, North Carolina Courage, Seattle Reign and Portland Thorns have two players and the Houston Dash and Utah Royals each have one. Goalkeeper Adrianna Franch earns her first Team of the Month honors for 2018. The Thorns went undefeated in July, making five saves and only allowing one goal during the month, earning Player of the Week honors in Week 14 and Save of the Week in Week 14 and Week 15. The defense sees three new players making the list for the first time. Katie Naughton of the Red Stars makes the list after playing every minute of Chicago’s four games in the month, earning 17 interceptions and winning 21 duels. Theresa Nielsen of the Reign also makes the list as an outside back, also playing every minute of Seattle’s four matches making 18 interceptions and winning 24 duels. Center back Rachel Corsie also earns her first Team of the Month honors for 2018 after earning Save of the Week honors in back-to-back weeks for Week 16 and 17. She had 17 clearances, four interceptions and won 19 duels. Abby Erceg makes her third-straight appearance, being the only Courage player to play every minute of every match all season. In July, Erceg won 24 duels and had 23 interceptions. The entirety of the Midfield remains the same from June Team of the Month. McCall Zerboni of North Carolina earned honors for the fourth-straight month, making every team except for the first one in March. Zerboni didn’t have any goals but provided a strong defensive presence for the League’s best team. 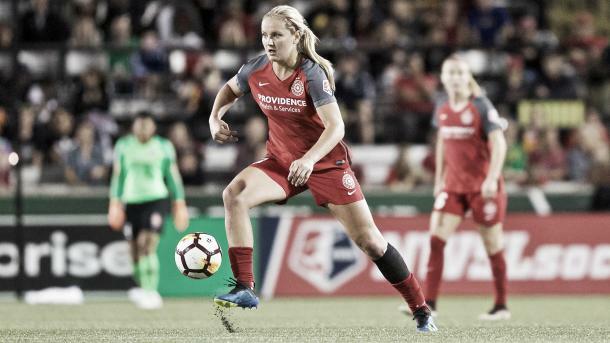 Lindsey Horan also makes her fourth appearance on the list, earning honors for each month except April. The Thorns midfielder scored three goals and had an assist in July off of seven shots with five on goal. On the defensive side, Horan, who is tied for first in the golden boot race, won 25 duels and made seven clearances. Yuki Nagasato made the list for the second straight month, scoring two goals and recording two assists to help her team to a 3-1-0 record in July. The Forwards provided offensive efficiency in July. Sam Kerr made the list for the first time this year, scoring four goals in the month including a hat trick, and became the first NWSL player to score 50 goals. Her career total now sits at 52. Rachel Daly represents the Dash on the list, earning her third honors. She scored three goals in July and played all 90 minutes in Houston’s four matches. Rounding out the list is Megan Rapinoe, making her second nod of 2018, scoring twice and earning two assists in 270 minutes played.